T racking your energy use and managing your account has never been easier. With our customized MyAccount online tool, you can now easily and quickly track your energy usage, spot trends, receive timely energy alerts, and pay your bill...all online. MyAccount can be accessed from any device and utilized at any time. 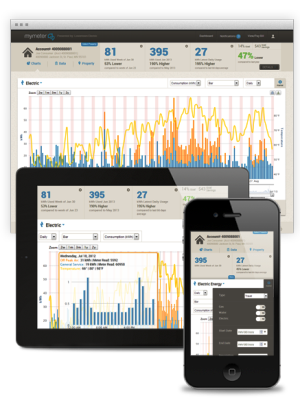 Analyzing and managing your energy use has never been easier.